In 2015, the Association for the Conservation of Energy (ACE) assessed 16 European countries, including the UK, with regard to energy efficiency and fuel poverty. According to the briefing report published as a result of this assessment, entitled The Cold Man of Europe, of the 16 countries examined, the UK was by far the worst across a range of indicators. The country has one of the highest rates of fuel poverty in Europe with 4.5 million households in a state of fuel poverty in 2013. The UK also has one of the most energy inefficient housing stocks. It does perform well in terms of energy prices but it is not so good when it comes to the affordability of space heating and fuel poverty, ranking 14 out of 16 on both these indicators. Furthermore, the UK housing sector accounts for a whopping 29 percent of the country’s carbon emissions. The poor state of housing in the UK is the main cause of these problems. Fuel poverty could be addressed by making the housing stock highly energy efficient. This would also reduce the strain on the NHS given that cold homes account for £1.3 billion in costs imposed on the NHS every year. Research by Frontier Economics has shown that energy efficiency improvements can be classified as infrastructure, meaning that improvements in this area can deliver comparable net economic benefits to other infrastructure programs such as HS2, Crossrail and the roads network. 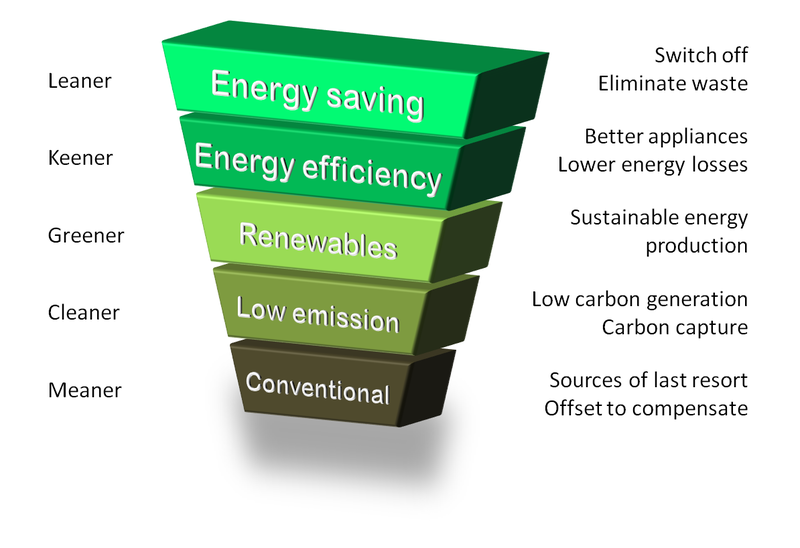 Energy efficiency improvements could also contribute £8.7 billion to the UK economy. Another survey, by Cambridge Econometrics, found that energy efficiency improvements could help to reduce gas imports by 26 percent, thereby helping to alleviate concerns about energy security. The difference between public and private sector housing is significant. Privately rented or owner occupied houses are more than twice as likely to be very energy inefficient than housing owned and rented out by local authorities or registered social landlords. Years of investment delivered by the Decent Homes Program has helped to achieve higher standards in social housing. ACE conclude that the government needs to designate energy efficiency as an infrastructure priority, using infrastructure funds to deliver stable, long-term investment and the upgrading of all UK homes to at least Band C on Energy Performance Certificates (EPCs). There have been a number of attempts over the years to improve the situation, but none of them have really succeeded in significantly addressing the problem. Arguably, the worst was the disastrous Green Deal program which was meant to improve energy efficiency in millions of homes across the country. However, only 16,000 households at best took it up. Last week, the center-right think-tank Policy Exchange published a report finding that the government is doing far too little to reduce energy waste in the housing sector and calling for a reduction in stamp duty of up to £5,000 compared to leaky, energy inefficient homes. It argued that this would lead to 270,000 households per year improving energy efficiency. Policy Exchange’s proposal is that energy efficient homes would see a reduction in stamp duty while for energy inefficient homes it would be increased. This would maintain the current level of tax paid to the government while also nudging householders towards making improvements. Thus the stamp duty on a well-insulated house worth £220,000 would be reduced by about £500 but increased by the same amount for a draughty house. The difference in stamp duty would also be capped at £5,000 for multi-million pound properties while householders buying lowest cost homes would not be affected either given that stamp duty is not paid on properties under £125,000. The Association for the Conservation of Energy (ACE) believes stamp duty differentials would be an effective measure, as it would establish a link between energy efficiency and value. An effective alternative would be to establish a similar system of differentials for council tax, so that the more energy efficient a house is the lower its council tax bill would be. Energy efficiency programs are widely seen as the cheapest way in which to cut domestic energy bills and meet the country’s emissions reduction targets. The Policy Exchange report finds they could achieve carbon emissions savings of 24 million tonnes per year by 2030, equal to taking more than 10 million cars off the road. This would also save households £8.6 billion per year in energy costs. However, not only has the government now abandoned Green Deal program but its plans to improve insulation in 1 million homes during the course of this parliament compares poorly with the 4.5 million insulation improvements delivered during the last parliament. Another report published last week by The Carbon Trust and Imperial College London argues that a roll-out of energy storage technology could save customers £50 per year while also cutting emissions and improving energy security. This seems promising, given the potential growth in the energy storage market which, according to Navigant research could see the sector being worth $215 billion by 2024. The UK energy mix is on the verge of being transformed, despite recent government subsidy cuts. This is indeed a positive portent for the future, with UK power stations having slashed their emissions by 23 percent over the course of the last two years and wind turbines generating enough energy to supply 97 percent of Scotland’s household electricity demand last year. However, energy storage will have to occupy a prominent place also. The signs of that happening are favorable. Business Green reported on projections supplied by Eunomia predicting a growth rate that would deliver 1.6 GW of energy storage by 2020. The consultancy argued that ‘behind the meter’ applications, installed by householders are the most attractive investment proposition but that minor regulatory changes could help with installation of battery energy storage into the distribution network, helping to make the grid more flexible and increasing its ability to accommodate renewables. So, despite the UK’s woeful current position on energy efficiency, the solutions are out there and within reach. It would only require the right regulatory framework, political will and positive signals from the government and this lamentable situation could be finally addressed.